If the shots (and consequently saves) are actually fixed on hoops, I'm actually hyped about that. On a more serious note, is the rotational sales model of eSport items still under review or is it final? It seems very controversial to me. It's final, but we're open to community feedback as with any new feature. Also, I wouldn't read too much into the physics frame lag. After testing the fix, it was hard to recognize the difference in input response so I don't think it will be the solution that some of those guys have been looking for. The limited availability rotation makes absolutely no sense, to me. While it may entice some people to purchase a particular item, while that item is available, those sales are going to be offset by all the people prevented from purchasing that same item subsequently, as an impulse buy, when they see someone else equipped with that item, or receive an item through drops that would pair well with a particular e-sports item. Given that the items are untradable, I just don't see the upside to preventing people from buying whatever they want, whenever they want, to support their favorite team. 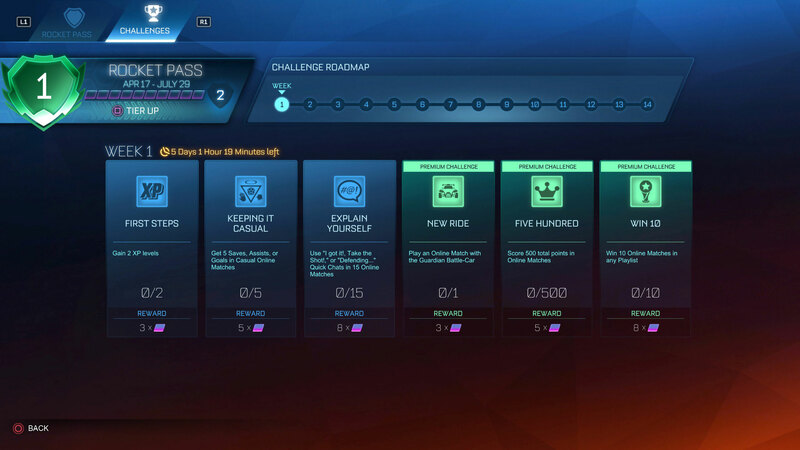 At risk of triggering you to actually do it, why not do the same thing with the standard DLC items? I'm sure there are people out there who would feel obligated to buy DLC cars at $10 each, if they were only available for a day, and were untradable. I don't think doing so would make financial sense though, over the long term. You mean like...making the Workshop actually WORK? What are you seeing in Workshop that isn't functioning as it should? Dirk can you tell the pro teams to stop putting anodized on black. It ruins their decals! Tentacles wrote: Dirk can you tell the pro teams to stop putting anodized on black. It ruins their decals! Lol sorry dude, I've no say on this. (Have a developer) track their Steam profiles! Put their profiles in a list which cannot use anodized! Problem solved! Dirkened wrote: What are you seeing in Workshop that isn't functioning as it should? We can't actually PLAY any arenas we make with it, which kind of defeats the entire purpose of being able to build them in the first place. I know a whole bunch of people with level design experience, myself included, and the general consensus amongst us, given the current state of the Workshop, is "Why should I even bother?" I just want the lobby host to be able to start up a private match, using a custom arena everyone has already downloaded to their own machine. That's something I've been able to do with every other Unreal Engine game I've played for decades now, including CarBall. This is a TEAM game, and should be approached as such. Having the ability to create our own arenas, then allowing players to access those arenas only in single player mode, makes absolutely no sense. Going above and beyond multiplayer functionality itself, adding the ability for users to tweak default settings for their maps would be a great improvement as well. I'd really love to play the Anniversary map, with reduced floor friction, so we could have a PROPER hockey mode. I realize you live in San Diego now, but ice is slippery, even there. What happened to the dominus and the takumi??? They arenot in my inventory. Nor are they in the game. since the last Patch from yesterday, I am missing one of my hats. 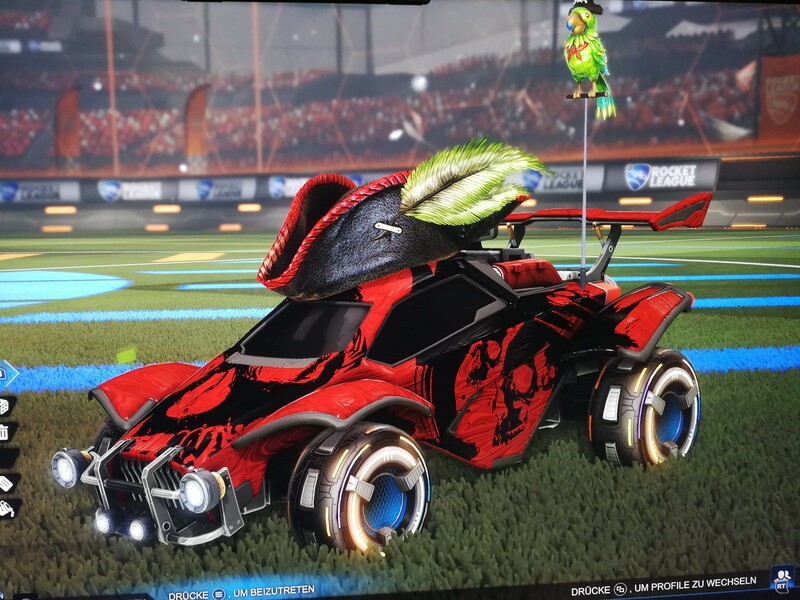 After seeing some people with the new decals I have to say this idea wasn't very well thought through. There have always been a lot of complaints about allowing cars to have accent colors from the other team's spectrum. 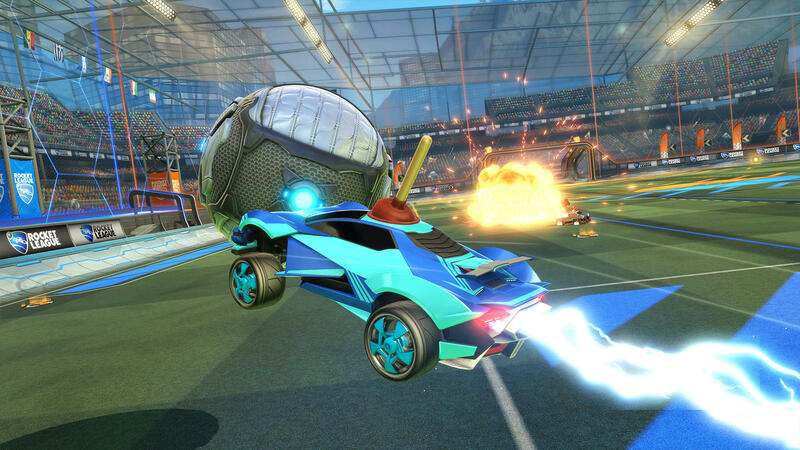 This new update now allows people to have a car FULLY colored in the opponent's colors. I had one guy on my team tonight I took off the ball a couple times because he had the Cloud 9 decal (blue/black/gray) on his car, but was playing on the orange team with me. Is there anybody else missing that hat? I had it equipped when i installed the update (maybe that has sth. to do with the issue). I haven't seen any official word from Psyonix yet, but there appears to be a glitch in the update, which is causing items to disappear. I base that conclusion on the number of "I'm missing this..." posts that have been made since the update. All of the reports I've seen so far have been from Xbox players, which would lead me to further conclude the issue is currently limited to that platform. 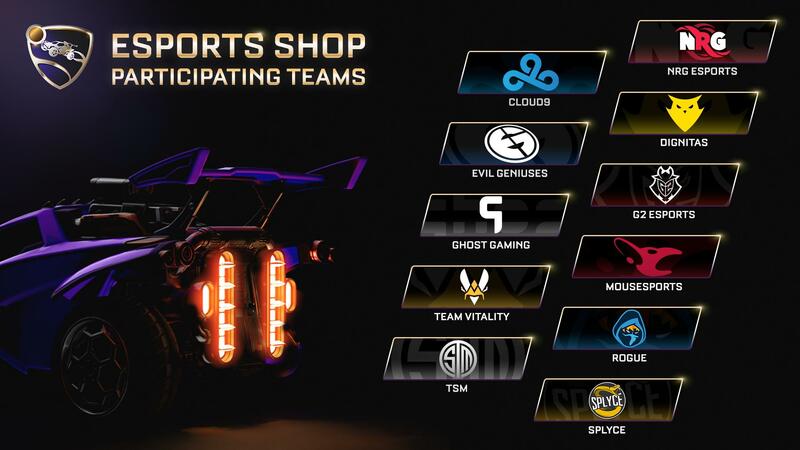 The new shop with e-sport items is good but there are 3 things that have to be changed: 1) all of those e-sport items should be put on the market at once so we could pick and buy whatever we want whenever we want, 2) it should be allowed to change the paint finish for the e-sport decals, having anodized only is pretty annoying, if you don't want to put there the paint finishes which would "change the look" of those decals (for example pearlescent, metallic pearl, pearlescent matte etc.) then give us at least the standard ones like matte, metallic, glossy, metallic smooth, brushed metal etc., 3) the NRG decal (and all other NRG items of course) should be red but for some reason it's pink so that needs to be fixed for sure. Ich habe seit dem Gestrigen Update immer die Fehlermeldung 51. Habe alles möglich was ich im Internet gefunden habe versucht. Nichts hat geholfen. Weiss evt. jemand Hier rat? Danke für Die Hilfe. FaTaL71Ty wrote: Ich habe seit dem Gestrigen Update immer die Fehlermeldung 51. Habe alles möglich was ich im Internet gefunden habe versucht. Nichts hat geholfen. Weiss evt. jemand Hier rat? Danke für Die Hilfe.